Grand Master Mayer earned his First Dan Black Belt (Dan #13011) in 1969 from the Karate Institute Tang Soo Do school under Grand Master David J. Praim (Dan #3593). He trained and taught Tang Soo Do while competing throughout the Midwest and the U.S. He continued his training with several living legends and tested for three of his Dan ranks under the late Grand Master Jae Joon Kim (Dan #38). He was most recently awarded his 8th Dan Black Belt on August 23, 2014 by Grand Master David Praim. Grand Master Mayer founded American Martial Arts Academy in 1989 in Southeast Michigan in order to teach the traditional art of Moo Duk Kwan Tang Soo Do in a welcoming, family-friendly environment. A.M.A.A. has since expanded to encompass two schools in Michigan as well as a school in Englewood, Ohio. Master Jeff Webb holds a 5th Dan in Moo Duk Kwan Tang Soo Do. He is the Head Instructor of the Englewood, Ohio A.M.A.A. school. 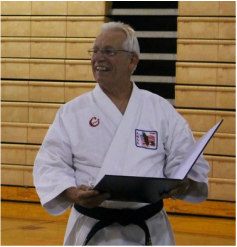 Master John Gahrs holds a 4th Dan in Moo Duk Kwan Tang Soo Do. He is an Instructor at the Lake Orion A.M.A.A. school. Master Gahrs recently worked in the United Kingdom and during this time he was able to train under Grand Master Kang Uk Lee (Dan #70), head of the United Kingdom Tang Soo Do Federation. Master Michael Mannino holds a 4th Dan in Moo Duk Kwan Tang Soo Do. He is an Instructor at the Lake Orion A.M.A.A. school and leads the Champions Workshop classes. 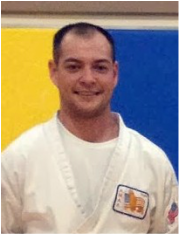 He is also proficient in Judo and board breaking and has competed numerous times on the national and international level, including several 1st place victories at the ISKA U.S. Open World Martial Arts Championships in Orlando, FL. Mr. Mannino is a former record holder in Wood Foot Stomp Breaking with the United States Breaking Association/World Breaking Association. Mrs. Tamara Treanore holds a 2nd Dan in Moo Duk Kwan Tang Soo Do. She is an Instructor at the Lake Orion and Clarkston A.M.A.A. school. 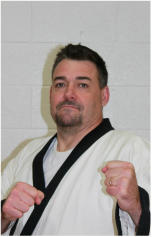 Mr. Michael Murtaugh holds a 2nd Dan in Moo Duk Kwan Tang Soo Do. He is an Instructor at the Lake Orion A.M.A.A. schools. Mr. Murtaugh is proficient with tonfa and nunchaku and has also competed in Board Breaking on the national and international level at the Indiana Regional Breaking Championships and the ISKA U.S. Open World Martial Arts Championships in Orlando, FL. Master Mike Nichols holds a 4th Dan in Moo Duk Kwan Tang Soo Do. He is an Instructor at the Englewood, Ohio A.M.A.A. school. Master David Koehler holds a 4th Dan in Moo Duk Kwan Tang Soo Do. He is an Instructor at the Lake Orion and Clarkston A.M.A.A. schools. Mr. Koehler has trained with nunchaku and Filipino escrima. 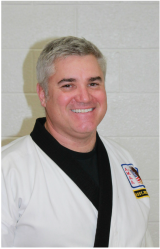 Mr. Dave Iselli holds a 3rd Dan in Moo Duk Kwan Tang Soo Do. Mr. Iselli is an Instructor at the Lake Orion A.M.A.A. school and leads the Karate for Kids: Little Ninja classes. He is also a national competitor in Board Breaking, including two 1st Place finishes at the 2013 USBA/WBA Indiana Regional Breaking Championships. ﻿Mr. Ray Putz holds a 3rd Dan Black Belt in Moo Duk Kwan Tang Soo Do. He is an Instructor at the Lake Orion A.M.A.A. school. 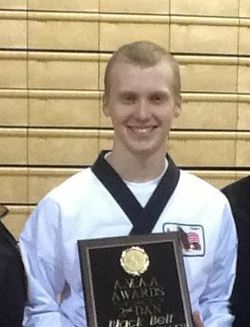 Mr. Brent Westberg holds a 2nd Dan in Moo Duk Kwan Tang Soo Do. He is an Instructor at the Lake Orion A.M.A.A. school. Mr. William Haverty holds a 1st Dan in Moo Duk Kwan Tang Soo Do. He is an Instructor at the Lake Orion and Clarkston A.M.A.A. schools. He has trained with nunchaku and Filipino escrima.